Whose Truth Is It, Anyway? That sounds good, and if it does what it says it does it could be very meaningful, but I have my concerns for one simple reason. Computer programs are only as objective and (ironically) as analytical as the programmers who create them. If the creators have a very specific worldview, that worldview becomes the benchmark against what all other data will be analyzed and judged. In recent weeks, I’ve seen countless articles on what were the big stories of 2017 and what were people’s predictions for 2018. I’ve learned not to try to predict, but there are some trends worth watching. One of them will be the continued evolution of technologies that are designed to replace human analytical thinking. Consider artificial intelligence and machine learning. From self-driving cars to robots that can enter hazardous environments, sparing human lives. These all show great promise. But before we surrender too much of our thinking to our digital minders, I’d offer this. When we start to dive deep into the development of communications strategies, when we have to identify biases, issues and concerns, in the end, we have to confront our own biases, our own worldviews and factor them into our own analysis of the data that’s before us. This all starts with the acceptance of the notion that no one has exclusive claim to the truth. A respect for other points of view can be very situational, and very much based on emotion, morals and ethics in ways a software program cannot adequately take into account. From there we can create context, the kind of context our clients and organizations need to make informed decisions. 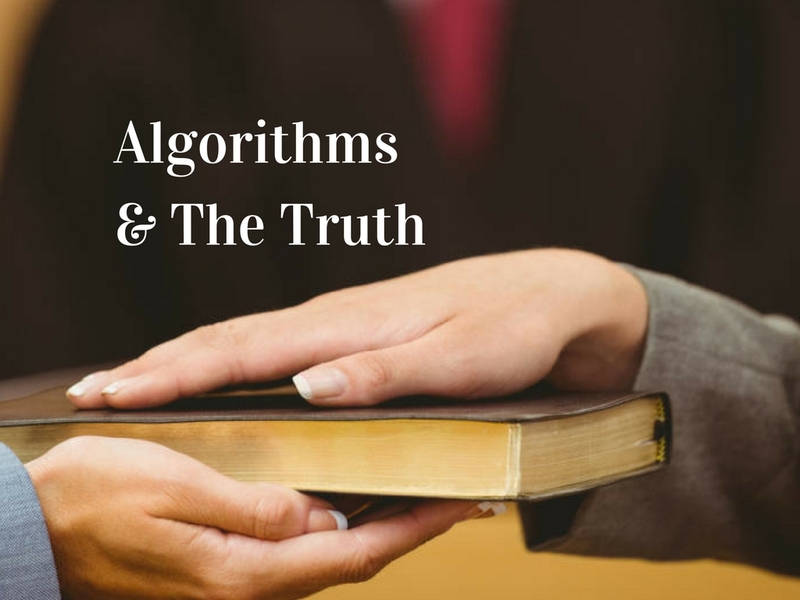 Not just factually informed decisions based on algorithms and what attitudes seem to be trending online. Rather, the best communications decisions are ones that are informed by offline factors such as emotion, experience, common sense, empathy and an understanding of human nature that all still rely on skilled and experienced professionals to interpret and manage. I’m not sure when school let out right before Christmas break, but I do remember a few times on the last school day before Christmas I was able to rush home and then with my mom take the trolley to Downtown before my dad finished work. For me and just about every other kid, Downtown was the place to be around the holidays. 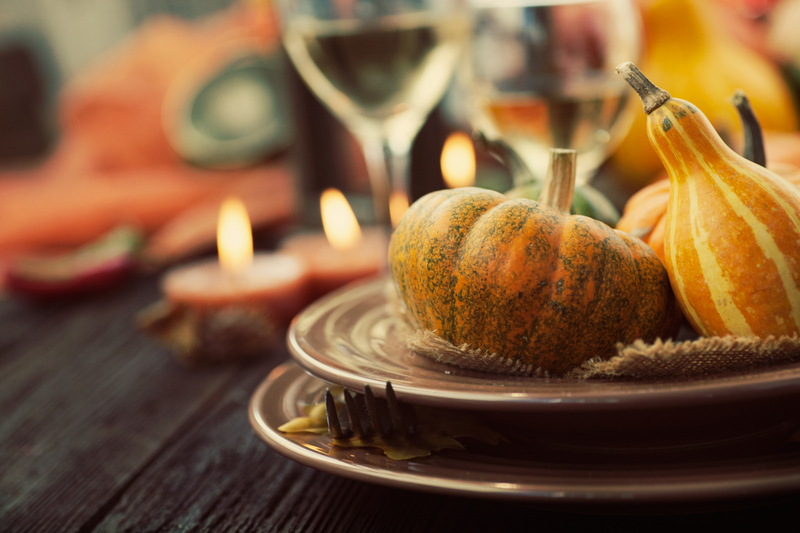 There were three major department stores – Gimbel’s, Joseph Horne’s, and Kaufmann’s – and usually depending on which one was closest to your trolley or bus stop, that was your family’s go-to place. Ours was Gimbel’s. As you approached the store in the dark and the cold, you’d be greeted by those well-lit and colorful Christmas dioramas in the windows. You’d start to feel the warmth even before you spun through those heavy brass revolving doors. Bright lights, and garland of red and green, gold and silver, blue and purple, all glittering and sparkling everywhere you looked, and shiny new things that my mom said not to even think about wanting. The 11th floor at the top of the escalator was my destination, even long after the reality of Santa Claus had set in. That was where they had the good stuff. After that, we’d hit the lunch counter at a nearby restaurant which had the best hamburger, chocolate milk and French fries you could want. 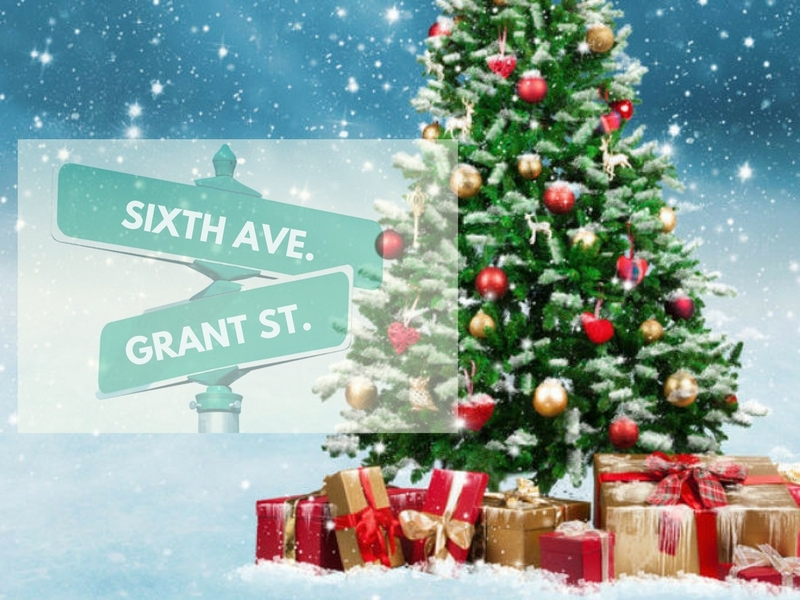 But before all of this Christmas sensory overload, we’d stop by the corner of Pittsburgh’s Sixth Avenue and Grant Street, right in front of the William Penn Hotel. That’s where I’d watch my dad work for a few minutes before he’d visit with us. He was a traffic cop who seemed more like the host of a constantly unfolding social event, rather than just someone who pointed cars and trucks in the right direction. There always seemed to be someone else standing on one of the four corners of the intersection wanting his attention, wanting to talk to him about something. I’d watch him get traffic moving and then make his way over to whomever seemed to have a need. That mom and her kids across from me wanted him to give them directions. Another man asked my dad if he knew a good place for shoe repair. A college student wanted to know where to get a good fish sandwich. A young man in a Marine uniform asked my dad if the Pittsburgh Police Department would be hiring new officers soon. These were the little things, and they were non-stop. Sometimes he’d tell me about other things people approached him about. He once told me about a woman who had passed by his corner for years with nothing more than a smile and a pleasant “Hello.” But one day, she stopped to talk. She told him that her adult son had gotten into some trouble and she didn’t know where to turn. He gave her the names of some people he thought could help. Not coincidentally, these, too, were people he had met and gotten to know on this very corner. Doctors and lawyers, executives and CEOs, bus and delivery drivers. As their routine took them through the intersection of Sixth and Grant, sooner or later many got to know my dad and all were the better for it. He was a visitor’s bureau with a badge, who every now and then had to keep the peace along with direct traffic, and he loved just about every minute of it. Anyone who knew him would tell you that. At Christmas, people who walked by his corner seemed to have the holiday spirit and the mood was always upbeat. There is something about seeing your dad do his thing out in the world when you’re a young boy. As I watched my dad in action, he seemed larger than life. I was proud of him. He was in his element. Almost no one got away from him without a handshake or a pat on the shoulder. So, what does this all mean to PR? My dad gave me a lot of good advice over the years, but it was probably his example that taught me the most. This was most predictably evident when I watched him do his job. To him it wasn’t about directing traffic. It was about people. It was about being a goodwill ambassador. It was about helping. Clearly when I think about it, he understood as much as anyone the value in helping people connect with each other in meaningful ways. He created community. That’s the life lesson I learned without a word in the falling snow on the corner of Sixth and Grant during the Christmas season. When it comes to the media and protestors alike, protests can be big business. Media coverage of protests tends to generate consistently high ratings, page clicks and readership, which attracts more ad revenue. And when it comes to the protests themselves, in an increasing number of cases there is more than meets the eye. In some instances there is the stated reason for the protest, such as a common environmental or a safety concern, and then the unstated reasons that may better explain why someone was willing to make an investment of thousands if not millions of dollars to prop up the protestors. The professional-protest economy has gotten very good at creating made-for-TV and made-for-social media events. The recipe is simple. Form a group around a theme that makes it look like you’re a victim or that you stand on morally higher ground than everyone else. 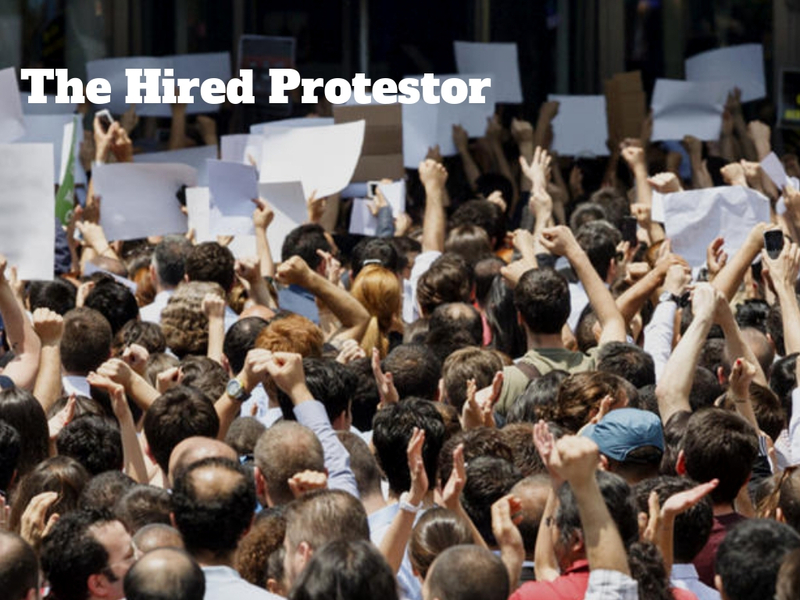 Create the core organization by paying professional activists to lead, organize and recruit others, and then be willing to pay who you need to make a show of it at protest events. You can target third-party events like a company’s annual meeting or an industry convention, or you can create your own events. The beauty of any protest is that with the right camera angle, you can make 20 people with signs look like popular opinion. If you’re having trouble recruiting people to your cause, simply run an ad on Craigslist looking for “paid volunteers,” which is an oxymoron. You can’t be a volunteer if someone’s paying you. That would make you an employee or paid contractor. More on that in a moment. With a core group of “paid volunteers” you have a better chance of recruiting others who are willing to join a protest to be a part of something, or to just be where the action is. Promote it all on social media and blanket the traditional media with your publicity outreach. And there you have it, a protest-in-a-box. The current protest model is based on a tried and true formula and counts on the general media’s need to drive ratings and readership by depicting volatile events as though they represent a popular uprising. The prevalent and outdated assumption in this kind of media coverage is that these events spring up from the grassroots (Professional protests do not); that the participants are only there because they believe in the cause and not because they are paid (Increasingly many are being paid for the very act of protesting); and that their presence indicates they are willing to risk their jobs or studies for something bigger than themselves (Many don’t have jobs, or are still under the finances of their parents, and many of their professors actually encourage them to join the protests). In other words, while the professional protest formula follows a very 21st Century template, media coverage of these same protests is still rooted in a 1960s narrative, one that automatically assigns hero status to just about anyone willing to block traffic. If the general media wanted to bring its coverage of many of today’s protests into the 21st Century – if for any other reason than to be responsibly accurate – journalists would ask protestors one question and then base their coverage on the response. That question? Who’s paying you to be here? To be sure, many protestors aren’t paid at all and truly have bought into the cause of whatever it is they are against. Others who may be paid, still may have no idea where the money originates. But make no mistake, in more cases than you may realize there is a money trail if you are inclined to look for it. If journalists ask this question of event spokespersons and other leaders every time, they might start to see a more clear and consistent pattern. If a journalist makes sure to know which interviewees are paid and by whom – by asking directly or doing some investigative work – it would shape coverage with the same sort of accuracy as when the same journalist asks corporate spokespersons for their names and titles. In both instances, the valid premise of the question is to provide context that’s based on the motives and self-interest of those involved. This shouldn’t be too much to expect this since it’s largely regarded as normal journalistic practice when protestors are not involved. But it seems that when they are involved, they get a pass. Just calling themselves “protestors” is enough to give them automatic immunity from standard journalistic scrutiny. I once happened to be at an event where a group of grungy environmental protestors led a rally where they played acoustic guitars and ladled barley soup to the crowd. On stage it was a mini Woodstock. They gave the visual impression they could have made their way to the event by hitchhiking, riding bikes or traveling communally in beat up old school buses. What the crowd didn’t see, but I did, right around the corner was a parked caravan of shiny new, air-conditioned tour buses fit for Bruno Mars and his band. This is where the 21st Century “hippies” retreated to presumably to cool off, drink and eat something better than barley soup, and expand their carbon footprint. The behind-the-scenes infrastructure looked less like that of a group of grassroots environmental protestors, and much more like one suited for a million-dollar, gas-guzzling traveling circus. If the media wanted to report on the very high-dollar feel of this organization, all it had to do was walk around the corner and just watch, just as I did. But if it did, that would have blown the narrative. 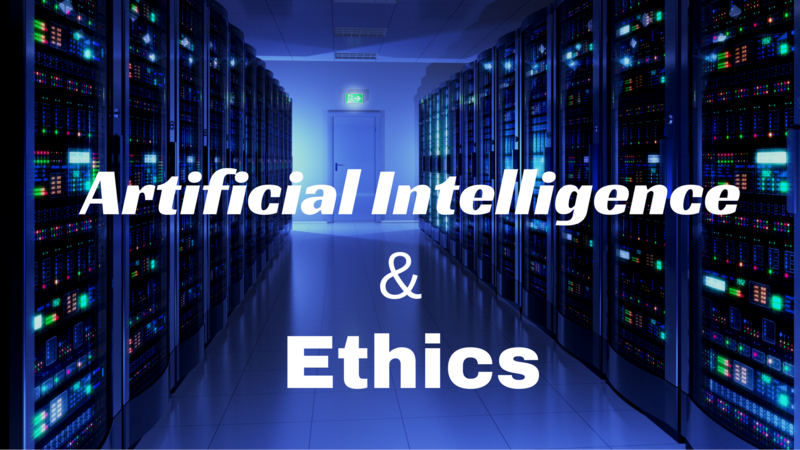 The World Economic Forum (WEF), one year ago, identified the nine most pressing ethical issues we face as artificial intelligence (AI) transitions from science fiction to our everyday reality. This matters in public relations, because inevitably we will find ourselves at the intersection of AI and its effects on people. We can expect much of the conversation to center on the ethical issues at play. Unemployment. What happens at the end of jobs? Inequality. How do we distribute wealth created by machines? Humanity. How do machines affect our behavior and interaction? Artificial Stupidity. How can we guard against mistakes? Security. 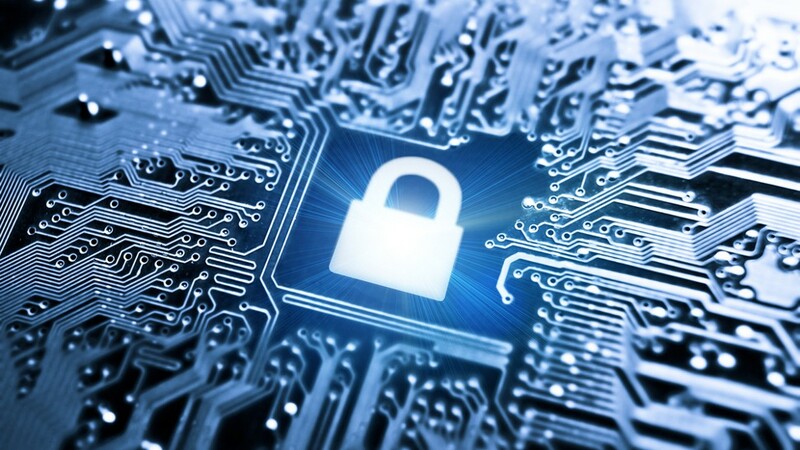 How do we keep AI safe from adversaries? Robot Rights. How do we define humane treatment of AI? Every one of these questions is serious, real and provocative. These are issues that will present themselves whether our leaders address them preemptively or not. Anyone who has “public relations” or “communications” in his or her title will be required to explain what it all means. You may be that person. For this reason, it may be worth examining how the climate for communications could take shape. Obviously, no effective communication can happen without a solid grasp of the technologies at play. Further, it will require a mastery of ethics at several depths, from basic human ethics and morality, to the ethics of behaviors in business, in government and in communications. AI is man-made but once it starts to take on a life of its own, control over its evolution will become much more fragmented and difficult to achieve. Of course, society must do everything it can to influence positive outcomes, but for those of us in charge of communications, the first mistake we can make is to agree with what appears to be the WEF’s premise that a singular group or body is qualified to define what’s right and wrong for everyone else. But perhaps just as importantly, even if there was one, that it could deliver. AI visionaries predict that employment as we know it will end. They are probably right in the same way as those who might have predicted an end to transportation jobs when blacksmiths were replaced by automobile mechanics, or when telephone operators were replaced by automatic switches, or when elevator operators were replaced by … buttons. It is probably true that society will need to brace itself for yet another revolution in the way we work, perhaps on a par with the transformation from an agricultural economy to an industrial one, and then many decades later to an informational one. But “end of jobs” sounds a bit melodramatic. Our role in public relations will be to assess at every step the impact of AI on the work force and help explain not only how that impact is taking shape, but also where the new opportunities may be as work itself continues to evolve. We’ve done this many times before. It’s one of our strengths and probably the one area where the communications profession is most prepared to step in and pave the way for AI. We learned in history class or political science class or economics class about the basic systems for governing and economics. Some are pretty straightforward. Under dictatorships or monarchies, the lines of inequality are pretty clear. You have the few who make all the decisions on “wealth distribution,” and then you have everyone else who are not deemed as “equal” or deserving. Under communist and socialist regimes over the past 100 years you had what was written on paper, and then you had those theories put into practice, which usually ends up in some form or fashion like what I just described in the previous paragraph. Because a free and democratic society is founded on the rights individuals possess, there is a key distinction between rights and outcomes. Economically, we have a right to work or start a business, but it’s on us to go out and earn. The system (in the U.S.) is structured to assure us the right to earn, but not the entitlement to receive. Of course, governments have certain entitlement programs, but the economic engines that drive growth, prosperity and feed tax coffers rely on income- and revenue-generation. With this in mind, it is largely assumed that the distribution of wealth is self-determined and based on all of the factors that go into making a living. For PR pros, the major issues with the question about how to distribute wealth created by machines is to accept the premise that an individual or a small group of individuals should be given the power and authority to decide on how to allocate wealth and to whom. There will most likely be public relations professionals on all sides of these issues. Perhaps the most common and pressing issue that public relations professionals will face as AI is integrated more deeply into our daily lives will be the impact those machines will have on our own human behavior and interaction. All you have to do is sit in the food court of any shopping mall and you’ll see the how machines are changing human interaction. Watch a bunch of teens stare at their phones instead of talking to each other, or stroll by the increasing numbers of empty storefronts in the mall thanks to the rising dominance of ecommerce. At every turn in this evolution, it will be PR’s job to educate, persuade and inform on the full range of issues where new technologies continue to change the way humans interact with each other. Artificial Stupidity: Guarding against mistakes? This, we know. AI is only as good as its makers, and its makers are human and therefore imperfect. It’s not hard to imagine a world reliant on self-driving cars, where some of those cars kill people. It’s equally easy to envision an AI-controlled drone every now and then falling from the sky, putting people’s safety at risk. And did I mention invasion-of-privacy issues? Over the decades, society has learned to accept certain trade-offs with increased automation. Goals are usually to minimize mistakes with the understanding that perfection is not attainable. What makes this issue even more challenging is the scale of power and influence AI has the potential to wield. Grids can be affected. Entire cities and regions. Millions of people can be more readily impacted by a singular event. 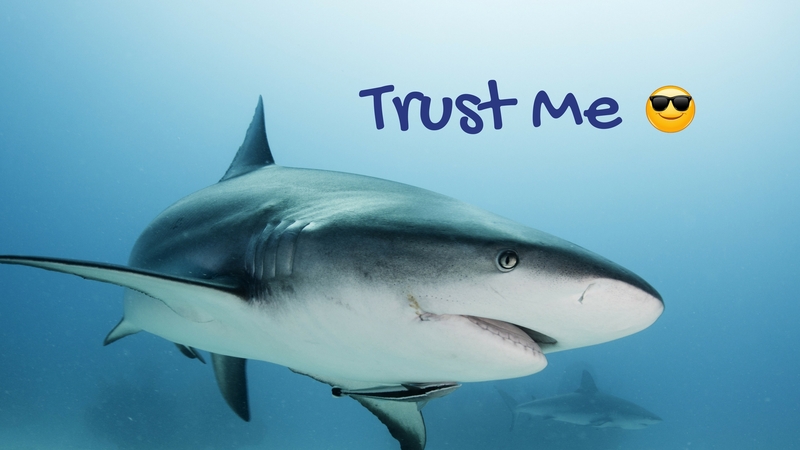 For communicators, one major dynamic will change – accountability. Until now, human accountability has always been the cornerstone of ethical decision-making and behavior. When something goes wrong, we immediately and innately look for the humans in responsibility to address the issue. And to do the right thing, those humans rely on their own survival instincts, from something as basic as wanting to physically survive a crisis, to the more common motivations of fear of being criminally prosecuted, fear of being sued, or fear of being fired from a job. AI removes all of these emotions and dynamics and puts a disconcerting buffer between responsible humans and decision-making. This presents big challenges for communications professionals, who will still be required to look for accountable parties, people who will be held responsible when machines make bad decisions. PR will have to play a role in sorting that out. The WEF points out that Google had some problems of its own with AI and how it was used to predict future criminals. Apparently, Google’s AI showed bias against African Americans. Before getting into the bias of the technology, it’s worth asking a more fundamental ethics question: Who gave Google the right to predict criminal behavior based on appearances? At the moment, it’s assumed AI is not our justice system and that we have a right to expect assumptions of innocence until guilt is proven. In other words, we have a highly regulated justice system of checks and balances, which is designed to be slow and deliberate. So, a reliance on algorithms to predict criminal behavior based on appearances can lead to all sorts of issues that can create or perpetuate AI-driven stereotypes across all demographics in any number of situations. As a result, it’s quite possible that in the future when AI is involved, one of our most important roles may be to give voice to the concern that an organization may be relying too heavily on value judgements made by machines. The WEF is concerned that evil people may see AI as a powerful new weapon in their arsenal. This concern is not only valid but probably as serious as conventional policies to keep weapons of mass destruction out of the hands of the bad guys. The problem is, AI may eventually be so ubiquitous that to try to “keep it” from adversaries may not be realistic. In the PR profession, our role may be to sound the alarm on issues as they relate to policy. This will allow decision-makers to better create policies that favor the good AI can do for the world, while not underestimating the bad it can do in the wrong hands. What if AI Turns Against Us? Mary Shelley wrote the iconic Frankenstein story in 1818, 200 years ago, and it’s even more relevant today when we contemplate the power and the risks of AI. In that story, Dr. Victor Frankenstein creates a monster that eventually turns against him, its creator. No longer science fiction, today scientists are creating machines that learn and decide and learn again. They control other machines and the many mechanisms that allow society to function. The WEF cites one of the most classic concerns of science fiction authors: What if the machines turn against us? Rather than assign nefarious motives, the WEF points to the real possibility that through some sort of glitch or misunderstanding in programming, a machine could misinterpret stimulus, data, an image or the very presence of a human, and make an errant decision causing harm. As with other scenarios, it may the role of communications professionals to speak up when they see the potential for human risk and how that risk could play out. What if the Machine Becomes Smarter than Us? This question appears to raise the issue of whether technology policy-making in the future will call for a figurative “kill switch” to be built into any AI technology to serve as a means to shut down a system before it can do much damage. Public relations professionals will play an important role in the debate over how such policies should be crafted and enforced, and eventually implemented. What if Machines Develop Feelings? The final WEF question entertains the extreme notion that robots could (should?) have rights not unlike human or animal rights and that machines could deserve “humane treatment.” To give this question serious consideration, we would have to accept the premise that machines are “living” beings with feelings. At the moment, and with so many other higher priorities when it comes to AI, assigning feelings to machines and then assigning them the same rights as humans may be a bridge too far. It’s probably best to let the next generation of PR pros deal with that. So, what do you think? What are the most pressing communications issues we could face as AI continues to penetrate our daily lives? Pittsburgh, PA, October 12, 2017 – O’Brien Communications, a Pittsburgh public relations consultancy, has announced that the national Public Relations Society of America (PRSA) and its Independent Practitioners Alliance (IPA) have presented Tim O’Brien with its “Indie Award.” The award recognizes outstanding contributions to the nation’s independent practitioner community in the public relations field. The Indie award was presented at PRSA’s International Conference in Boston on October 9, 2017. In presenting the award, the PRSA cited O’Brien’s role as author of PRSA’s “State of Independence” column that is published in the organization’s PR Tactics monthly that is distributed online and in print to all PRSA members in North America. In addition, he was recognized for his active participation in and contributions to the Solo PR Pro forum, a national community of PR consultants. In 2017, Expertise .com recognized O’Brien Communications as one of the top 14 PR firms in Pittsburgh. Founded by Tim O’Brien in 2001, Pittsburgh-based O’Brien Communications builds its client service with a focus on: Corporate Communications & Strategic Planning; Marketing Communications; Public Relations & Media Relations; Content Development & Professional Writing; and Crisis & Issues Management. Clients have ranged from Fortune 500 corporations to nonprofits and emerging start-ups. Crisis communications and issues management are often conflated because there is a certain degree of crossover. Take the NFL’s problem with National Anthem protests. It’s become an acute crisis because the president’s outspokenness on the issue led to a near revolt by players in three days, which led to an actual revolt by fans instantly. It was s simmering issue but then it became a crisis. Inevitably, the crisis phase will fade at some point, though it’s highly unlikely that the issues at play will go away easily. Some crisis pros like to call these issues “long-burning” or “smoldering” crises that seemingly never end and could flare up again with the slightest gust of wind. The NFL has made a series of bad decisions since 2016 which created the tinderbox that erupted last week, so reputationally speaking its wounds are largely self-inflicted. But that’s a blog post for another day. If your organization is mired in an issues management situation, it can feel like you will never get rid of the issue unless you make your critics happy. But by virtue of their label – “critics” – there is a good chance they will never be happy, at least in a way that benefits you. On the other hand, the things that may make them happy could very well make you unhappy. This is the crossroads where many managers find themselves in issues management. Do I try to please my critics? Do I appease them so they will go away? Do I try to strike just the right balance? How can I just get this behind me and avoid further turmoil? This line of thinking usually ignores the real dynamics at play and all too often makes the PR mess worse, because the fundamental problems and issues that are at play were never really confronted and were never resolved. First, let’s take a look at your critics. Are they your customers? If so, you’ve got a real problem and you’d better listen (In the NFL fans = customers). Are they investors? Ditto. Your employees? This is where it starts to get complicated. Chances are when your employees have a problem, you have a problem, like it or not. But there are times when certain employee groups may not have the organization’s best interest in mind. Communication could be a problem. That’s where you have to lead the way. In the current environment, it’s more likely that your more vocal critics won’t be customers, investors or employees. They’re most likely to be outsiders, who as critics are doing what they do best, and that is attack organizations on issues, real or contrived. The usual suspects are politicians, activists, social media instigators, all individuals and groups that may be dedicated to making noise to get attention and support for their own agendas. If I’m one of your critics, the primary driver behind my attacks on you and your organization is to pressure you to try to appease me. Once you do that, I will change my demands and make them impossible for you to meet. I will keep doing this until you quit. I don’t just want you to pay, I want you to pay dearly and quite visibly. I want you to be distracted from your day-to-day business. I may want you to stop doing one thing, or start doing another. I want you to fire people. I may want you yourself to resign or be fired. I want heads, because that’s how I keep score. So, my first goal as a critic is to get you to think that appeasing me based on my initial demands will make me go away. Of course, what you don’t know is the fun is just getting started. Your strategy of giving into my initial demands is the first big mistake you can make, and once you realize that, you will already be far enough down the path of poor decision-making that each additional decision going forward will be even more complex and challenging until you’ve put yourself into a corner and there is no easy way out. As your critic, that’s how I win and you lose. How can I find the right balance? At this point, you may sense a running theme, but I will reiterate. Your critics are dug in. They don’t want balance. They’ve already structured the issues management battlefield so that the outcome is winner-take-all, and since they typically lay the situational ground rules, the field is usually tilted in their favor. Out in the world people are watching, people who aren’t critics. Perhaps when you think about trying to find the right balance you are thinking of them, not your critics. You are trying to find a way to appeal to the masses. You may believe they want balance, but consider this. Have you ever gone to a sporting event hoping for a tie? A tie would be perfect balance, wouldn’t it? Not really. The point is everyone wants a decision. Your critics want it to be in their favor. You may want it to be in yours. Observers, however, they just want it to be the right decision, and they are looking to you to define that for them. But in the end, when that decision is made they want it to be a decisive victory in their favor. How can I just put this to rest and avoid further turmoil? This may be the most important question because it’s at the root of all the others. As much as no one wants to find themselves at the center of controversy, once you’re in the middle of one, attitudes that revolve around dread, frustration, and even defeatism can be the kinds of distractions that will create entirely new problems. 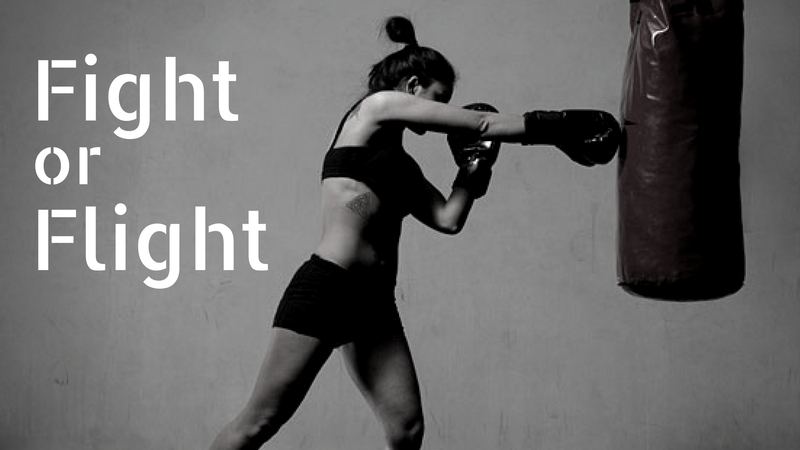 With this attitude, you can be your own worst enemy. Once you are confronted with a smear campaign, a campaign based on criticism, baseless allegations and unrealistic demands or expectations, you have a choice – the instinctual decision between fight or flight. If you are not prepared to beat the issue back, you are in for a long and miserable journey and an unsatisfying outcome. If you really want to put the issue to rest, do your homework, know what stakeholders are most important, what they want to know, what they need to know, and what you can say. Know what’s true and what isn’t. As soon as possible, get a handle on the real end-game of your critics. Once you’ve done all of this, be prepared to beat the issue back. Make your case confidently, positively and completely. Be honest, be transparent, but most importantly, be unapologetic and fearless in the face of confrontation. If you are being pressured on an issue and you truly believe you are in the right, then conduct your communications campaign in precisely that spirit. Your tone does not to have the same brute force as your critics, but it should send the message that you are confident and committed to your position. If you want to talk issues management, let me know. I’d be happy to talk. Moms and dads would say this to remind their children not to get too rattled when other kids are mean to them. But as we see every day in the media and in social media, names and words and language can be used quite effectively to hurt individuals and organizations. Your critics know this, and they know how to marshal strategic messaging and all of the media channels at their disposal to hurt you until you submit and do what they want, or you just plain lose. Of course, that old saying was right to a certain extent. Names in and of themselves can’t hurt you. And a lot of pressure that critics try to apply to you oftentimes can’t hurt you unless you let it. The main thing to know is critics can only really hurt you in a PR sense if you let them define you. Here’s how they do that. 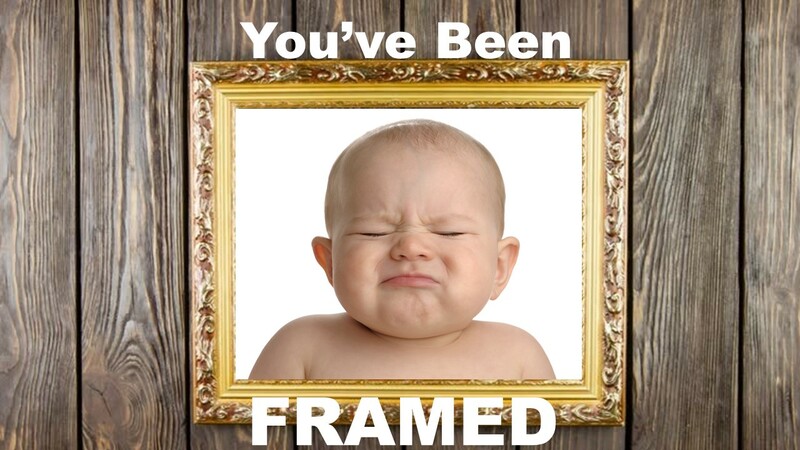 When the word is used as a verb, we often think of being “framed” as when someone is set up for a crime he or she did not commit – a false charge against a person. That’s not precisely what we mean when we talk about your critics try to frame you, but it is in the right neighborhood. When your critics frame you, they are simply framing their message so that how they want to define you becomes the most common perception of you, whether it’s true or not. Effective framing means to give the public a simple and clear picture of who you are through simple words, images and symbols, all that work to define you. The frame is the intellectual structure within which you are defined. Values – Your critics may have many techniques, but one of the most effective ones centers on the use of common values that everyone shares, but spun so that you are defined as not caring about or having complete disregard for those values. In the process, your critics define themselves as caring, and you as the one who does not. Do you care about the environment, safety, the community, your employees? Maybe you do, but if you have critics, these are the kinds of values they may say you don’t care about. Metaphors – Metaphors are powerful tools for taking complex ideas and simplifying them in such a way that people get it quickly. If your critics are waging a campaign against you, saying you don’t care about your employees, they may choose the metaphor of the giant, saying you don’t care about “the little guy.” That’s an image and in idea most everyone can readily understand and remember, which makes it an effective metaphor. 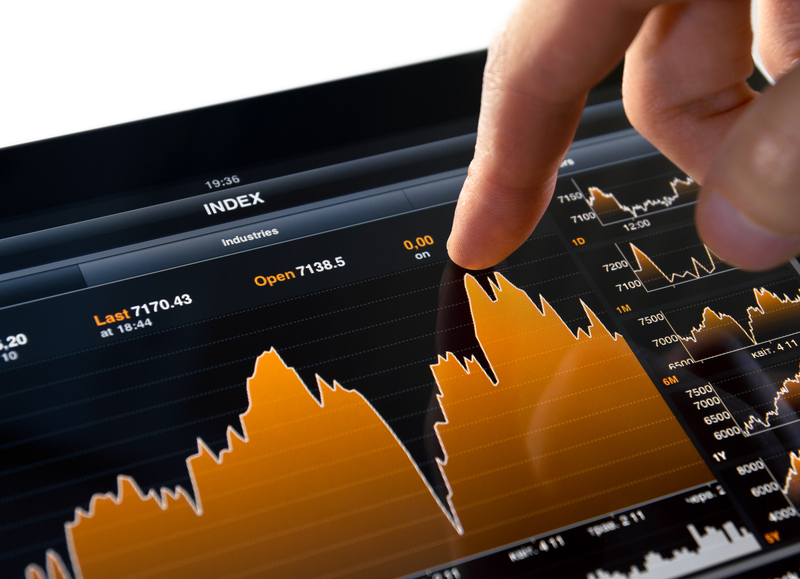 Statistics – Statistics are often used to substantiate any argument, and they are effective because they convey a sense of indisputable fact. Of course, stats can be manipulated to support every side of an issue. By rearranging some stats, excluding others, and interpreting them any way your critics see fit, they can use stats against you. Solutions – This is the call to action, but it’s often offered as a reasonable solution. The minimum wage issue is a classic example of how the solution is used to garner public support. Who doesn’t want to make more money, right? The current number of $15 per hour is the more common “solution” offered, but the proponents of that wage never discuss the bigger problems it potentially creates. The City of Seattle learned the hard way on this. When employers have to raise the minimum wage, that money has to come from somewhere in a small business. That means while everyone may make at least $15 per hour, each employee may have to give up more hours. Full-time workers with benefits may be cut to part-time and lose their benefits. More people working fewer hours with less benefits, all so that the hourly wage can be raised. The hidden problem in the debate is that raising the wage does not raise revenues to cover the increased wage. In fact, if the store owner has to raise prices to pay for the wage increase, that could hurt retail sales, reducing the amount of cash available to pay employees. In short, the wage increase forces employers to give away money it doesn’t have. That could hurt jobs and the workers lose. The point for this discussion is be prepared to address those simple “solutions” offered by your critics. Stories – People like stories. We have since we were kids and that’s never changed. It’s why we like books, TV shows and movies. The power of story is in its ability to aid our memory. Think of your own life, your own memories. You may not remember what grade you got on every assignment, but you probably have many stories of teachers and classmates over the years, stories you will never forget. The same is probably true of your college years, your family, your partner or kids. Stories. In the end, your critics will use all of these tools and many more to define you. They will come up with values they can turn against you. They will create or collect data that can be used to define you. They will offer solutions that put you in a no-win position, and they will come armed with all sorts of stories that while they may not even be true, will place you negatively into the narrative. For your critics, that’s mission accomplished. They will tell the public or other third parties why this should matter by reminding them of shared values – values they say you don’t care about. They will detail their case against you through the use of metaphors, statistics, stories. They will take care to show what you are doing wrong, or that you are wrong for not doing. And they will offer a solution that is likely to persuade people to see you the way your critics want you to be seen. The first thing is refuse to be defined. Have a clear idea of who you are and what you and your organization stands for, and have your own set of values that everyone understands when they think of your brand. Have your own set of metaphors, statistics and stories that further define your reputation should it ever come under attack. And have your own set of solutions that persuade people to understand that what you are doing is right, for the right reasons. That’s just a start. If you want to talk about what to do when your critics try to define you, let me know. I’ll be glad to chat. There are three reasons people sue, typically. One is that they truly were damaged in some way, either financially, physically or some other way, and they decide to seek compensation for damages. Second, whether you did anything wrong or not, someone has decided they have enough of a case to squeeze money out of you in court, but more than likely through an out-of-court settlement. And third, someone may sue you for the attention. That attention may serve a purpose, such as helping draw attention to a cause, an event, or a campaign of some kind. In this third scenario, even if the case is thrown out, by virtue of generating publicity for simply filing a claim, they’ve already achieved their objective. If you or your organization is targeted with a lawsuit, be prepared for the plaintiff’s lawyers for the plaintiff to use some over-the-top PR strategies to put you on the defensive even before your lawyers have the chance to read the complaint. 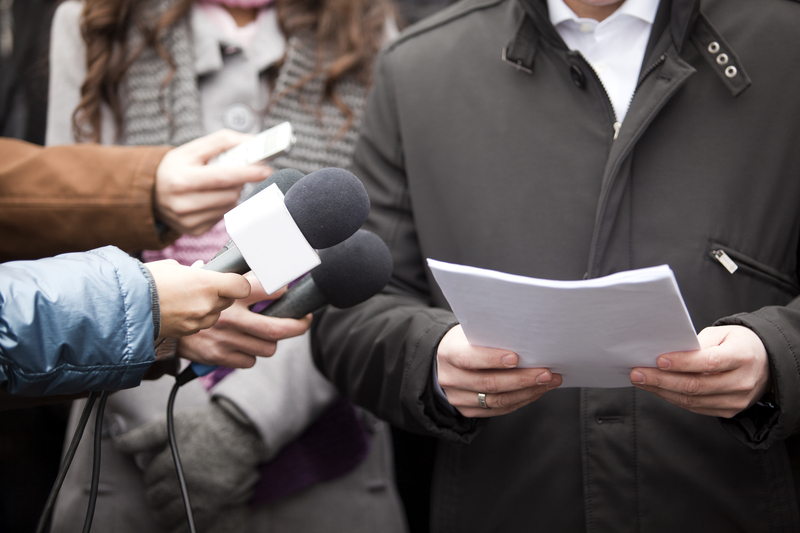 Very often, the plaintiff’s lawyer will share the complaint with the media before or simultaneously with actual court filings. In this situation, there is a good chance the media will have more time to review the filing than you will. In fact, there is a chance that your first indication that a suit was filed is when that first reporter calls you asking for a comment. Where plaintiff’s lawyers gain the most momentum is during this period where they drive media coverage, while you and your legal counsel are still working to obtain an actual copy of the complaint to see what’s in it. I once saw a situation where a disgruntled former employee sued his former employer over what he argued were unfair grounds for his firing. The fact that he had a substance abuse problem that affected his job performance was not mentioned in the complaint. What was mentioned was the company’s “strict in-office bathroom policies.” The complaint characterized the work environment as “hostile” because the plaintiff was regularly questioned for his long absences from his work station. The other major fact excluded from the complaint was that management suspected he was engaging in most of his workday substance abuse activity in the restroom. Of course, the media could only base its coverage on what it knew, so this case became known as the “bathroom policy lawsuit.” What made it even more difficult for the employer to engage in the media was that it was forced to adhere to its own policy of respecting employees’ and former employees’ privacy on personnel issues, and because the matter was now subject to litigation. Anyone who works in the media, or even consumes it on a regular basis, understands that while in a court of law you may be “innocent until proven guilty,” but in the “court of public opinion” you are more than likely to be considered guilty until proven innocent. This means you may have to prove a negative, which is often impossible. You may have to defend yourself in the media. So, while in the court, the plaintiff may have to actually prove you did something wrong, in the media, the plaintiff is not so hindered. Whatever they say you did, it is perceived you did it until you can prove otherwise. 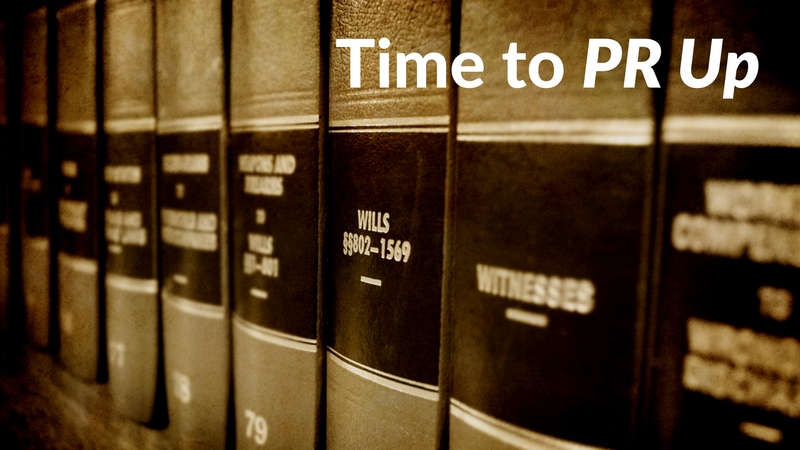 Once the initial filing is made, the legal system has its own built-in timetable, which may include everything from discovery and depositions, to publicly accessible court dates. These public hearings and trials are oftentimes treated as media events by plaintiff’s attorneys, meaning you have to approach the case as though it’s a communications campaign, in addition to a legal case, with a beginning, middle and end. The most important steps you can take if you are ever faced with a lawsuit is to work closely with your own legal counsel to make sure all of your communications are in support of and in synch with the legal strategy. You must also be fully aware of the systems your organization has had in place and has in place to prevent the very thing your organization is being accused of in the legal complaint. The key is to make sure that even in the event the suit against your organization has some merit, it is the exception and not representative of something deeper, more systemic. If you have any questions about litigation PR, get in touch. I’d be glad to talk. With PR Advisors Like These Who Needs Enemies? If your organization is faced with the real possibility that it could be involved in a crisis centered on a controversial issue or development, the one thing you should be able to do is trust that your PR advisors are on your side. Unfortunately, it’s not uncommon for some organizations to seek and receive counsel from PR advisors who may not quite have the best interests of the organization in mind. To be clear, we’re not talking about spies or subversive activities. We’re not talking about PR professionals who would intentionally do you harm. We’re not advocating a surrender of professional objectivity and detachment in favor of accepting only the client’s side of the story. And we’re not focused on PR professionals who are pushing the boundaries of PR ethics. What we are talking about are those whose hearts simply may not be where yours may be – PR advisors who may be happy to get paid to provide PR service to you all within the bounds of ethics, but their sentiments may align a little more closely with your critics. When this happens, you’re likely to get and take advice from someone who has already accepted the premise of your critics’ attacks. Their inherent bias clouds their ability to provide the counsel you need. So much so that your critics’ reality is your PR advisor’s reality. That’s dangerous. Here are a few hypothetical examples. A large consulting organization serving a large NGO is under fire by an extreme environmental activist group for having once worked for energy companies. The consulting firm made no secret of this. It listed energy companies as clients on its web site and had complied with all disclosure requirements. However, the critics treated the consulting firm as though by virtue of having worked for energy companies in the past it had done something wrong. The consulting firm’s PR advisor counseled the firm to first issue an apology for having worked for those firms and to announce that it would be conducting an internal review of its client list to assure it would be more diligent about taking on “controversial” clients in the future. Takeaways: There’s nothing wrong with consulting firms serving energy firms, so there is no need to apologize. There is no need for an internal review of client lists unless a specific business arrangement or contract warrants it. More importantly, it will undermine your own business if you start to publicly classify clients as “controversial.” This is a reflection that the PR advisor is working under a reality framed by critics. The lesson is, if your organization has done nothing wrong, there is no need to apologize. If your organization has to conduct an internal review to determine if it did something wrong, say so, but wait until the investigation is complete before even considering an apology and corrective action. A real estate developer has announced it plans to build a new mixed-use development on the outskirts of a mid-sized city. As part of this process, it is compelled to meet with elected officials and local authorities, and appear at public meetings where the development is on the agenda. A group has formed to oppose the development and is waging a campaign based on fabricated claims in the media, on social media, and in public demonstrations. The opposition organization has built its campaign around allegations that the developer is trying to hide its plans and is not being transparent. The developer’s PR advisor recommends to the company that it host a town meeting to foster dialogue with the community to be more transparent. Takeaways: First, the PR advisor is coming from a place where it is presumed the developer has not been transparent. While there are appropriate times for town meeting forums, there are many times when a PR advisor recommends hosting a town meeting when all it will achieve is to give your critics a forum for their own agenda-driven campaigns. When you host a town meeting in a contentious situation you are giving your critics a forum to create a made-for-TV event that may give the misleading impression that what you are proposing does not have public support, or ironically, that you are trying to hide something – all because an organized and vocal opposition knows how to hijack such forums for their own purposes. A better approach in this situation, may be to communicate broadly and aggressively through your own channels: Web sites, newsletters, mailers, op-eds and ads, and when it comes to public meetings, consider them, but there are ways to structure them so that your critics cannot commandeer them to shut down real dialogue. A bank is forced to reduce its philanthropic activity due to a downturn in its business. This means that certain local arts-related organizations will see significant reductions in funding. The bank is now under fire from certain community activists who say the “greedy” bank is putting profit before culture and is working to “destroy the local arts community.” With picketers outside of the bank’s offices, the bank’s PR advisor tells management to engage with the group by having an impromptu face-to-face meeting with the group’s leaders, hoping that they will understand the bank is not putting profits before the arts. Takeaways: There is a place for engagement, but there are times when what looks like engagement is not. This is one of those times. In this situation, the messaging coming from the bank’s critics is highly strategic, designed play to stereotypes of big business. This signals that the creators of that messaging have no desire for real dialogue which can lead to real understanding. Rather, any event or activity in which they do engage is designed to further amplify that messaging. So, if the bank would take the PR advisor’s recommendations, it would be doing two things. First, it would be giving the community activists an event it can play to further reinforce its theme that that the bank is not “listening to us” or “trying to manipulate us.” Second, if the bank has made a firm decision on its philanthropic support of the arts, such a gesture as an impromptu meeting with this group (handled the wrong way) could give false hope. A strategy of appeasement only lasts so long, then critics are likely to feel misled, and their vocal attacks on the organization will then be proportionately stronger and longer. The main problem with these kinds of PR advisors is they’re not really sure who they work for. Some live to please the media before their own organizations or clients, and their advice reflects this. Others see the issues your organization faces through the prism of your critics and not yours. They identify more with your critics than they do with you. Of course we must do research on all sides of the issue. We can’t accept information on face value from clients any more than we should if the information or claims come from critics. That said, when PR advisors start by accepting the premise of the critics, they’re more likely to accept false assumptions and baseless allegations, and on this they will base their recommendations. This is quicksand for any communications program.